David W. Bennett 71, of Island, Kentucky went home to be with the Lord on Tuesday, April 10, 2018 at his home in Island. David William Bennett was born August 22, 1946 in Paducah, Kentucky to the late Harry Brandon and Bernadine Cordelia Pulaski Bennett and was married to the former Joyce Marie Hill May 24, 1969. David was a retired diesel mechanic, a member of Glendale Baptist Church in Glendale, Kentucky, a U.S. Army Veteran, serving in the 101st Airborne Division at Fort Campbell, and a lifetime member of N.R.A. 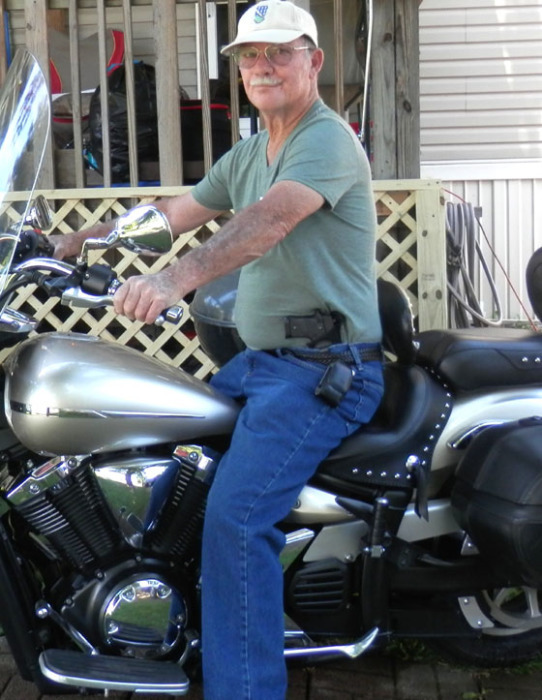 He loved fishing, target shooting, woodworking, and riding his motorcycle. In addition to his parents, David was preceded in death by a son, Bryan Scott Bennett, who died February 27, 1994. Survivors include his wife of 48 years, Joyce Bennett; a son, Chris Bennett and wife, Misty of Pleasant Ridge; a daughter, Kippy Wayman and husband, Todd of Brownstown, Indiana; four grandchildren, Jeremy Storey, Jerika Wayman, Ashley Bennett, and Cheyenne Bennett; 7 great grandchildren; two brothers, Don Bennett of Dennison, Texas and Ben Bennett of Elizabethtown, Kentucky; and a sister, Joanne Rader of Dothan, Alabama. Memorial services will be held at 6:00 P.M. Tuesday at Muster Funeral Homes, Livermore Chapel with David Everly officiating. Military Honors will be conducted by the McLean County Veterans of Foreign Wars Memorial Post #5415. Friends may visit with David’s family from 2:00 P.M. until 6:00 P.M. Tuesday at Musters in Livermore. The David W. Bennett family requests that expressions of sympathy take the form of donations to McLean County Veterans of Foreign Wars Memorial Post #5415, Honor Guard Unit; C/O Robert Thomasson; 892 Browns Valley Road; Utica, Kentucky 42376. Memorial contribution envelopes will be available at Musters in Livermore. Share your memories and photos of David at musterfuneralhomes.com.